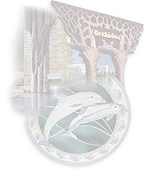 Our company has more than 20 years of experience in manufacturing architectural art ceramics. 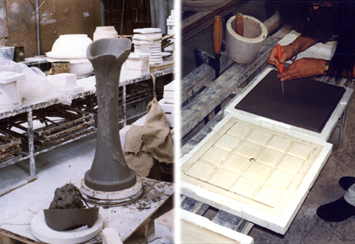 We provide unique custom hand made architectural ceramics for interior & exterior. Tiles and tile borders -for swimming pools ( flat and rounded corner tiles ), hot tubs, backsplashes, showers and bathrooms Fireplaces - surrounds /any shapes, sizes, glazes/ suitable for modern and classic interiors. 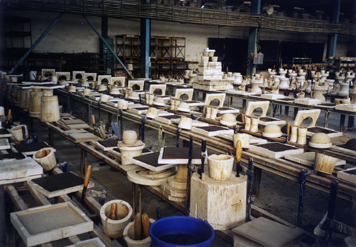 We only use high quality types of clay and glazes and appropriate temperatures of firing for exterior & interior uses. His artistic background comes from a long tradition of his family. His father akad.m Ferdinand Pekar has produced numerous monumental artworks for architecture and public spaces, as well as in classical figural and landscape painting. His mother Zuzana Pekarova had studied at the Institute of Fine and Applied Arts in Bratislava, Slovak Republic, and was producing figural art in ceramic medium. 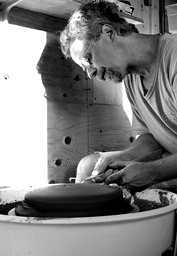 Mr. Pekar graduated in 1983 from the Institute of Fine and Applied Arts in Bratislava, Slovak Republic - Europe with a degree in Artistic Processing of Ceramics and Porcelain. 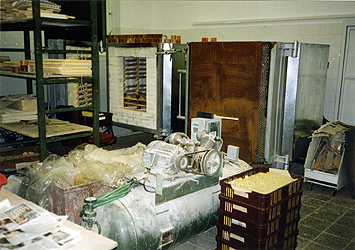 He was studying under Professor Mr. Ambroz Pajdlhauser and acad.sculptor Mr. Michal Zdravecky. He has more then 20 years of professional experience working with commercial, residential, institutional, corporate, retail, and academic areas. He worked several years as a restaurateur supervisor of Roman Museum of Archeological Research in Bratislava Slovakia. 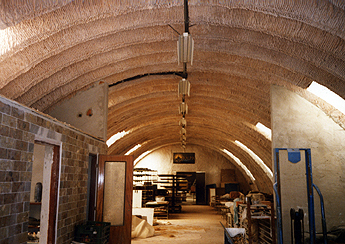 In between 1984-1990 he was working with Balneology Museum where he was working as a restaurateur of museum exhibits and was reproducing the originals for public exhibitions. 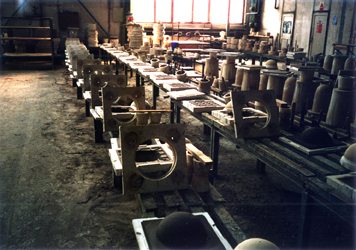 Created film - “Technology of Ceramics" as an instructional material for schools with artistic focus and teaching. 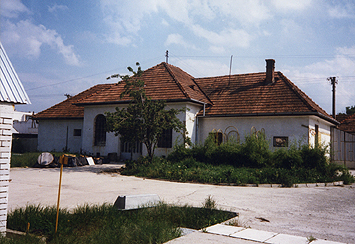 During the 1980's he worked as an art teacher teaching individuals in the city Piestany, Slovak Republic. Mr.Pekar is a member of The Slovak Union of Visual Arts and Design, and a member of The Slovak Union of Sculpture Arts since 1984. Begining in 1983 he actively began participating in exhibitions throughout Europe and USA. 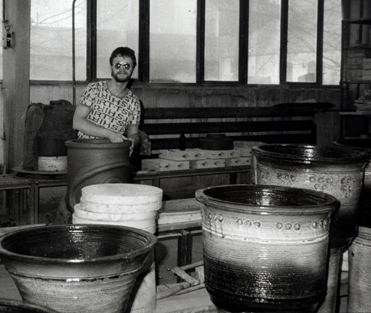 In 1988 he exhibited a large ceramic fountain in an exterior exhibition “ Sculptures of Piestany’s parks” which runs annually as a celebration of the historic Spa City. 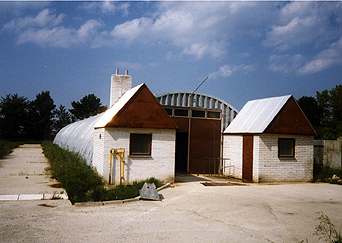 In 1988 he began with a large scale production of architectural projects which he was making at a rented ceramic warehouse in the Czech Republic (Morava), where he had the opportunity to work with high capacity gas kilns and had hired larger work force for the production. In the year of 1993 he began with the production of Ceramic Educational Toy which received numerous awards in international Toy Exhibitions. - Trencin, Slovak Republic (1999) as the winner of the Educational and Ecological Toy of the year. Since 1990 he has worked on projects that included entire initial design and final realization of projects, working from budget preparation, space planning, furniture design and finishing in creating artistic architectural elements, creative interior design, and applying self-patented design elements. In 2000 his production and company have moved to Vancouver, Canada, where he is successfully continuing and expanding his passion and creativity in the world of art.